Arion Security is established on a formidable and distinguished background characterised by experience and expertise in security. The company''s core values and direction are aimed at not only meeting our client''s expectations, but exceeding them by providing the highest level of service. Ultimate Monitoring LTD is a remote monitoring company , At ultimate monitoring we specialise in remote cctv monitoring/key holding/manned response and on-site guards. remote monitoring is a cost effective alternative to secure your property or business. Ultimate monitoring runs a professional control room 24/7 365 days a year with all our staff fully trained to SIA standard. At ultimate monitoring you are guaranteed an immediate response from our dedicated & professional staff. As soon as they detect an intrusion on your premises the CCTV Operators manning are notified. After viewing the activation, they can then make the best decision on the next course of action. If you would like a free quote or more information on our services do not hesitate to contact us and we will get straight back to you. Based in South Woodham Ferrers, Essex, Communicate UK have been providing specialist security and communication security systems for over 20 years. We pride ourselves on a commitment to quality, professionalism and outstanding customer care. We provide a wide range of services including installations, maintenance and support of burglar alarm systems, CCTV, fire alarm systems, security gate automation and fire extinguishers and many more. Should you require any further information about our company or on the range of services we provide please visit our website or call 01245 400044. We pride ourselves with providing value for money to our clients by supplying effective, efficient and competitively priced security service. We provide the following services: Corporate /Retail Security,Site Patrol/Key Safety,Event Management and Door Supervision. We can tailor our services to include the following duties: Reception duties, Fire safety checks, Meter Reading, Data Management, Mail sorting Office Cleaning and Facilities Management. UK's leading provider of CCTV and Surveillance technology. Visit our website today for the best deals on CCTV! 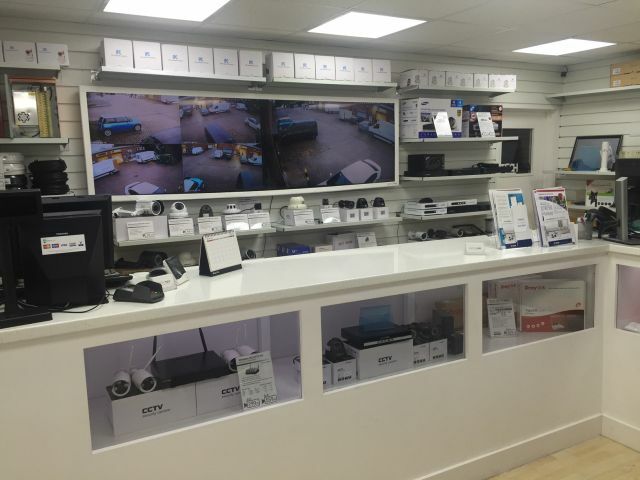 Highgate Security can offer a complete range of security guard services all across the South West Region, these include retail security, static guarding, mobile security patrols, key holding, event security, door supervision and CCTV installation. All our security guards are fully vetted, well trained and fully SIA Licensed. We will endeavour to meet all our customers security needs with a professional approach to insure their business and property are safe and secure. CTR Secure Services provide dedicated security services and consultancy in order for our clients to reduce risk and increase productivity. With offices in Cardiff, Norwich, London and Copenhagen we are able to assist clients on a national basis. CTR Secure Services are a complete security provider with a difference, we listen, understand and then provide relevant and leading security solutions to various industries worldwide. Our unique approach allows our client's to receive specific and dedicated consultancy and services in order for them to reduce risk and safeguard their business. We are also founding members of the Security Convergance and Resilience Alliance (SCARA), intially formed by our Chairman Doug Cook MBE in order to bring together the leading specialists in a number of fields relating to security and risk management. Provision of professional security services to commerce and industry. All operatives are licensed by the Security Industry Authority (SIA).